Comfort and atmosphere play a great role in getting a quality study session. 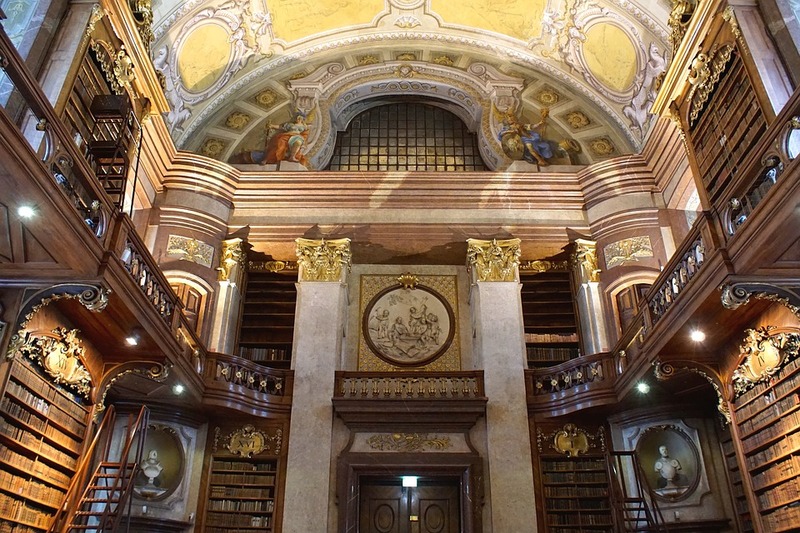 The only problem is that some of these university libraries are so beautiful that it is difficult to concentrate on studying. Bapst Library was designed in the English Collegiate Gothic style. It contains 51,000 volumes and access to hundreds of journal databases and electronic journals on art, photography, architecture and museum studies. Bapst Library offers about 400 study spaces in a combination of individual carrels and tables. Chancellor Green Library was built in 1873 in the High Victorian Gothic style. The building features strong geometric forms, rich ornamentation, and a marvelous octagonal rotunda. There are 28 carrels where faculty, students, visiting fellows, and others can work. The Harry Widener Library, housing more than 3.5 million books, is a famous Harvard University Library. It includes works in more than one hundred languages, including special collections, such as in the history of science, Islamic studies, and paleography. Butler Library houses two million volumes comprising the University’s collection in humanities, with particular strengths in history, literature, philosophy and religion. The library’s design is neo-classical in style. Along the front and sides of the library are inscribed the names of Homer, Plato, Virgil, Dante, Goethe, Shakespeare, Cervantes, Horace, and Cicero. Fisher Fine Arts Library is located on the University of Pennsylvania campus. This library is a masterpiece with a multistory reading room; it is lit by an overhead skylight and is one of the world’s great Victorian spaces. It is must-see architecture and the building is semi-open to the public, so you can see it from inside and out. Your first walk into the Linderman Library will remind you of Hogwarts, which golden ceilings, the stone arches, dark wood moldings, and elegant stained glass windows. Linderman Library is designed with three different usage areas—a space for readers, a space for stacks of books, and another for the staff. The library carries the appeal of an old collegiate building, filled with tradition and knowledge. The mission of the Z. Smith Reynolds Library of Wake Forest University is to help students, faculty and staff to succeed. The library has a collection of 1.7 million volumes and an operating budget of over $7 million. It is worth visiting for sure! Pitts Theology Library, one of Emory University’s six instructional libraries, holds a distinguished collection of theological books. With 610,000 volumes, the library provides rich resources for students. Pitts Theology Library offers seven small study rooms and two large study rooms that can be used for classes and library workshops. The library’s lecture hall offers space for special events. It is so pleasant to study in a library that is a piece of art. If you need expert assistance with any type of academic assignment while studying in the library of your choice or elsewhere, visit WriteMyEssayOnline.com. Turn to us for help at any time; we are here for you!